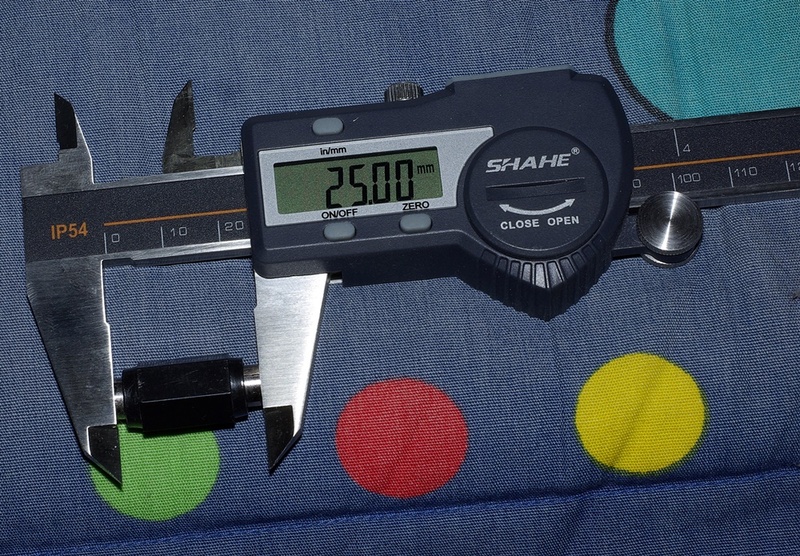 Fasttech.com sent me some Fujisan Dial Calipers for test/review and I only thought it fair that I should perhaps compare them to another dial caliper that was also along the lines of budget . 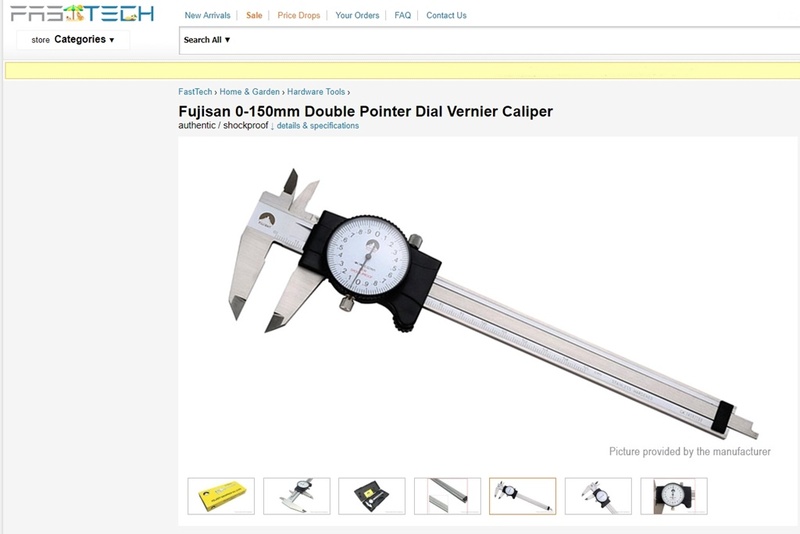 So what we have is the cheapest steel dial calipers off Ebay VS the cheapest steel dial calipers off Fasttech.com . In this case we are talking $22 ozzi bananas (Ebay ) VS $21 greenbacks ( Fasttech ) . Ok , I did a whole bunch of random measurements N stuff and there really was nothing to separate them . 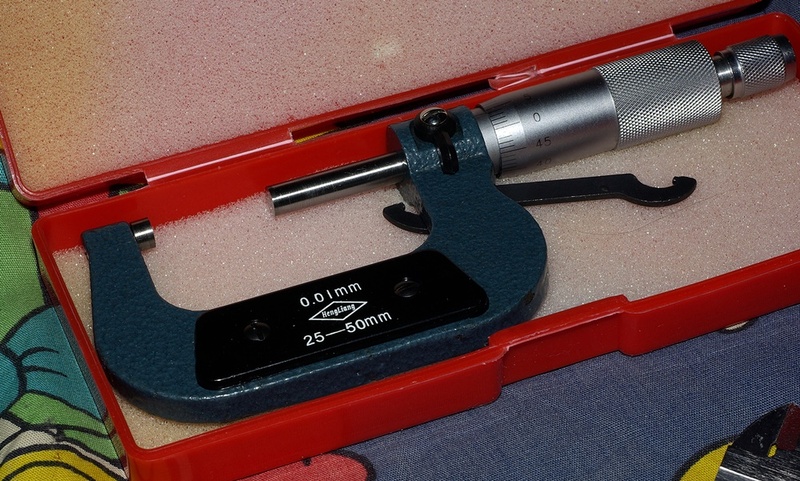 So I pulled out a 25mm gauge from my 50mm micrometer ( its pretty much spot on for 25mm ) and used it for some more precise measurements to see if I could separate the two calipers I had . Sorry no is the sort answer . 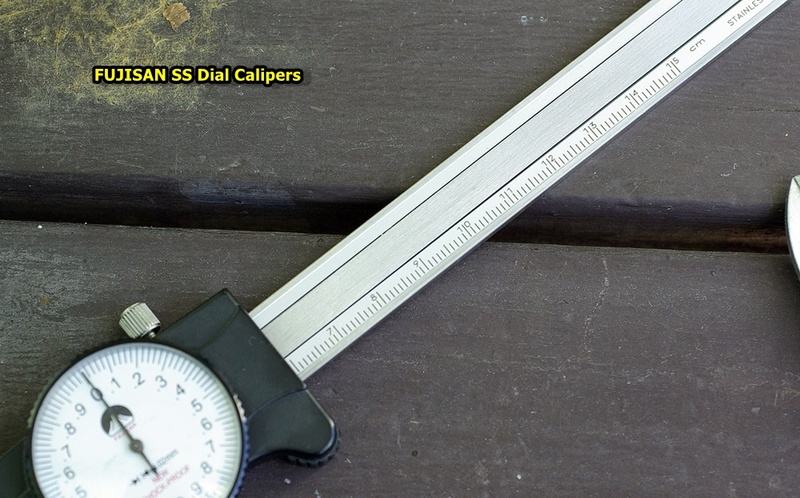 Both calipers were spot on ( don't worry about the picture , that was on me ) . 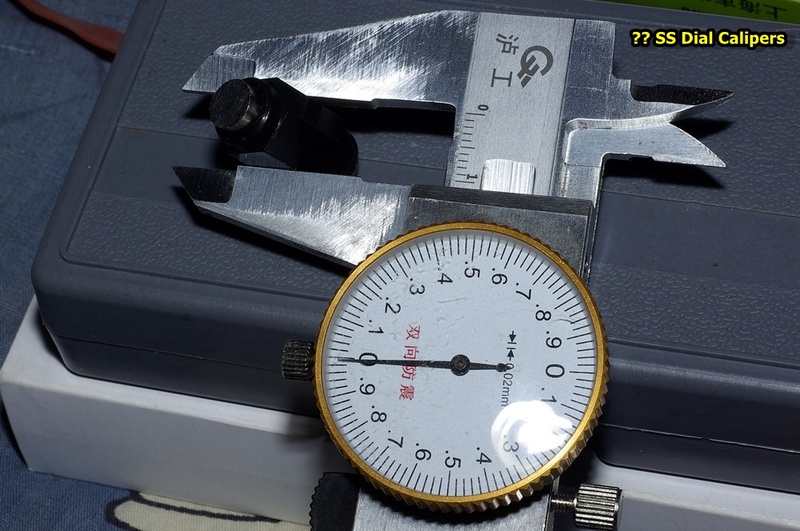 Both calipers were on the money for the 25mm reading , as well measuring the sides of the gauge ( one side was spot on for 11mm ) both calipers were again on the money . 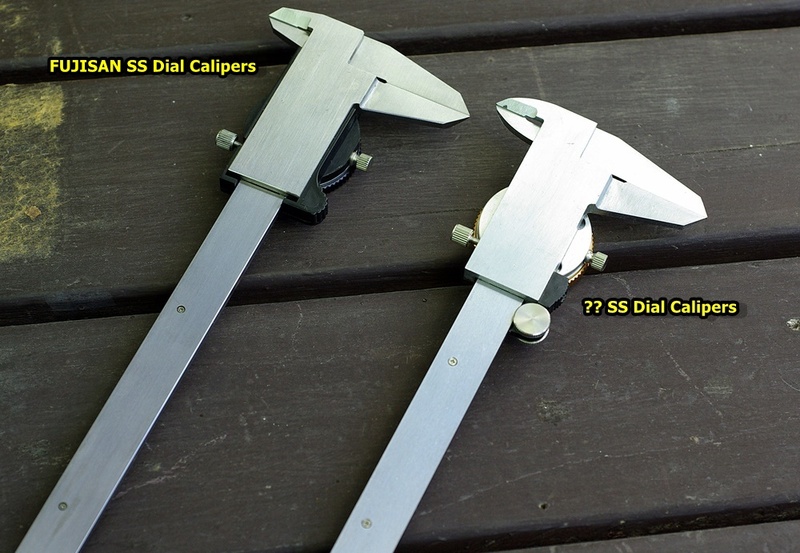 So it would appear that both calipers were giving accurate measurements within the test parameters . 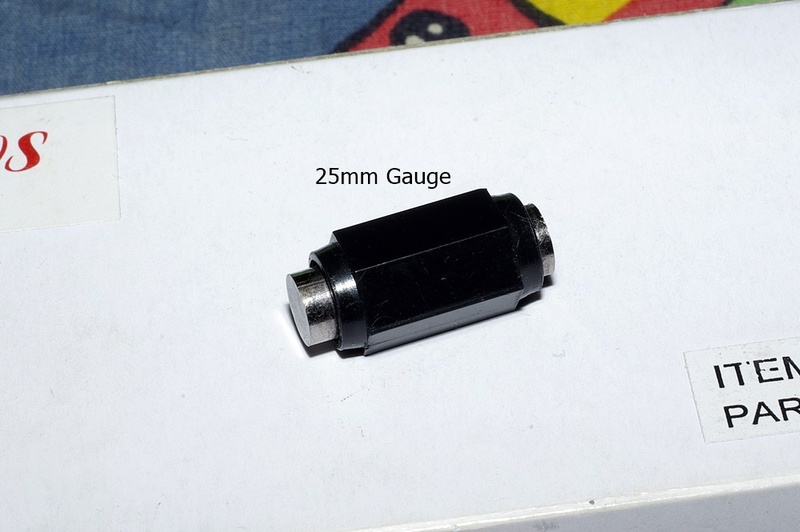 A cylinder from a Super Tigre G15 Internal measurements : 15.02mm With two digital calipers . 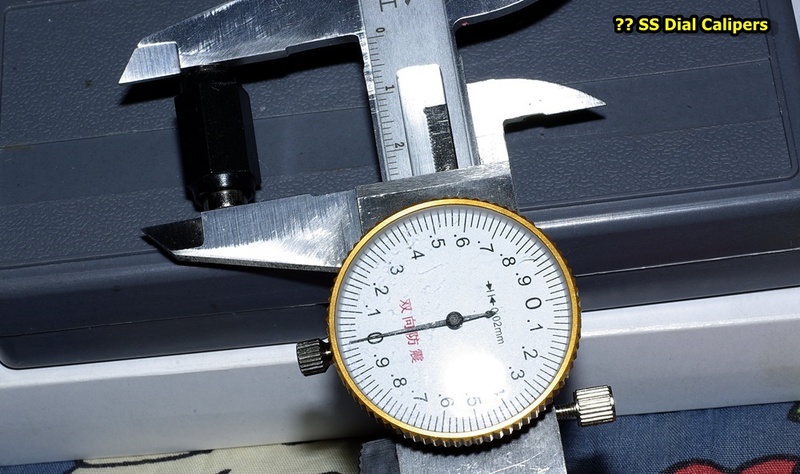 Measuring undersized is correctable , but dangerous as you may hurt the blade geometry ( measuring jaw ) . 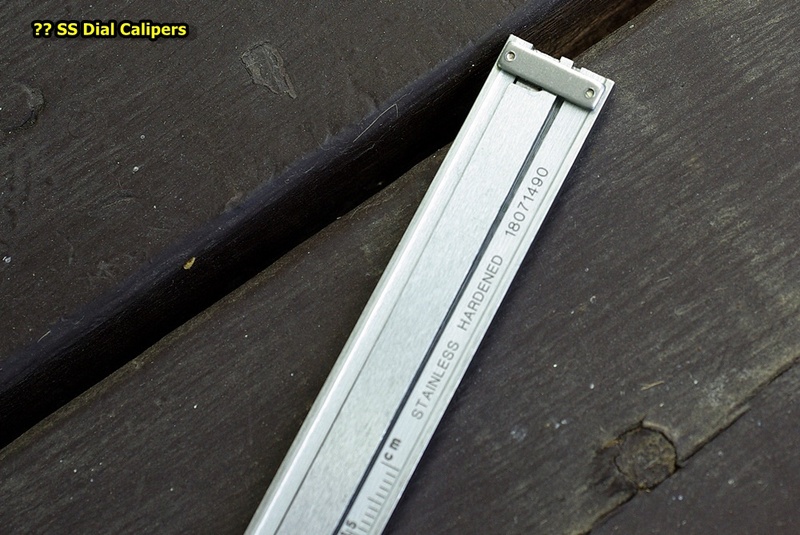 The Ebay calipers were all over the place , I got 30.20mm several times as well as 30.22 / 30.24 , even 30.30mm .. 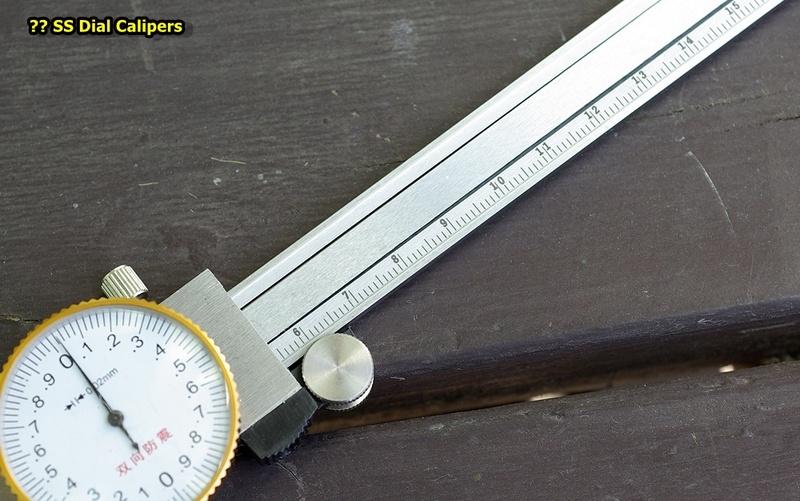 I think I the rough action had something to do with it , as to measure depth the calipers have to be very smooth . 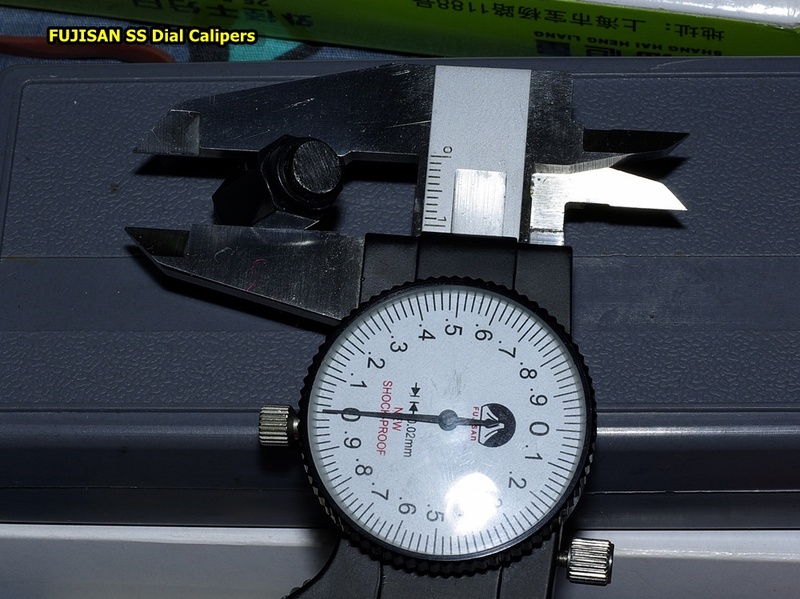 Fujisan calipers were also a little tricky ( doing depth measurements requires precision on the part of the operator ) but I nailed 30.26mm more often than not . 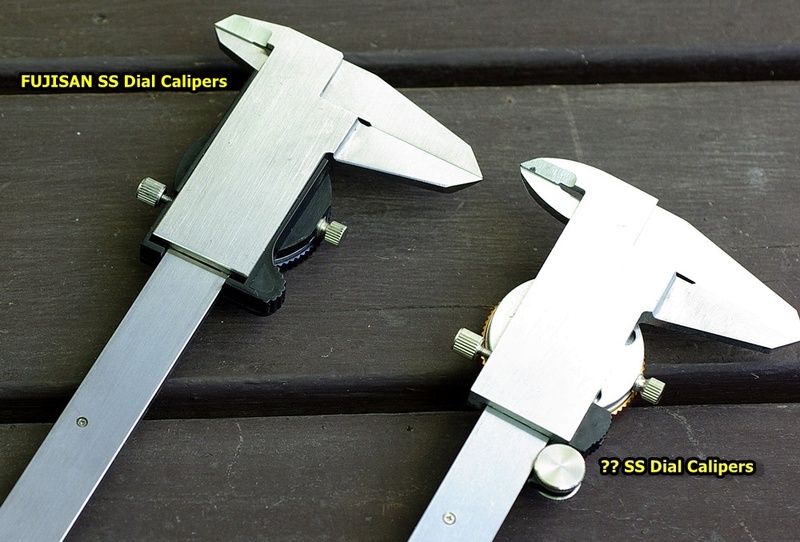 The Fujisan calipers were just so much smoother and easier to hold just so . 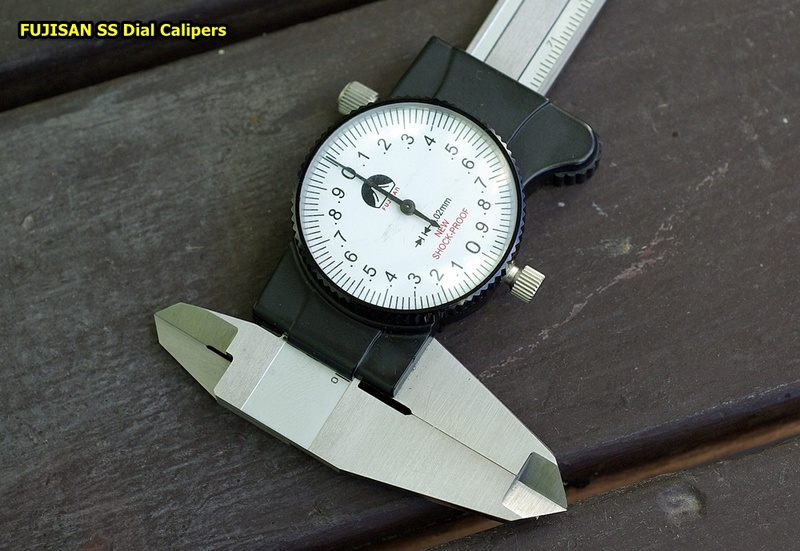 What really separates these calipers is the over all build quality and feel . 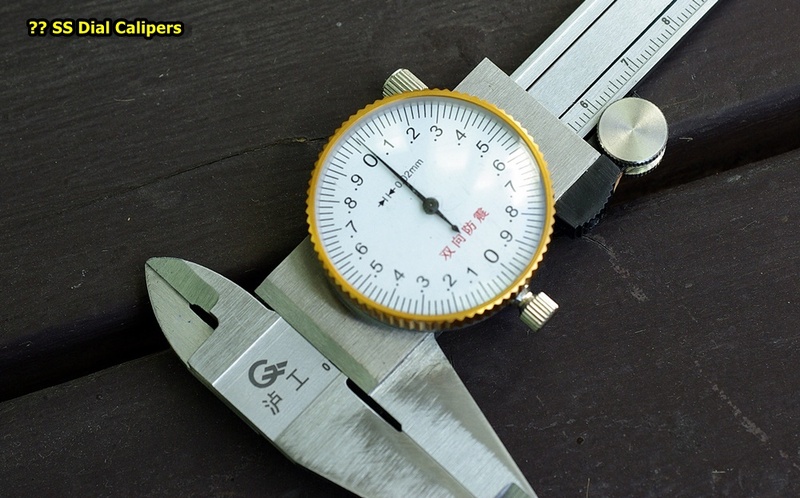 And here it goes to the Fujisan calipers from fasttech , they are simply better finished , smoother and more precisely ground . 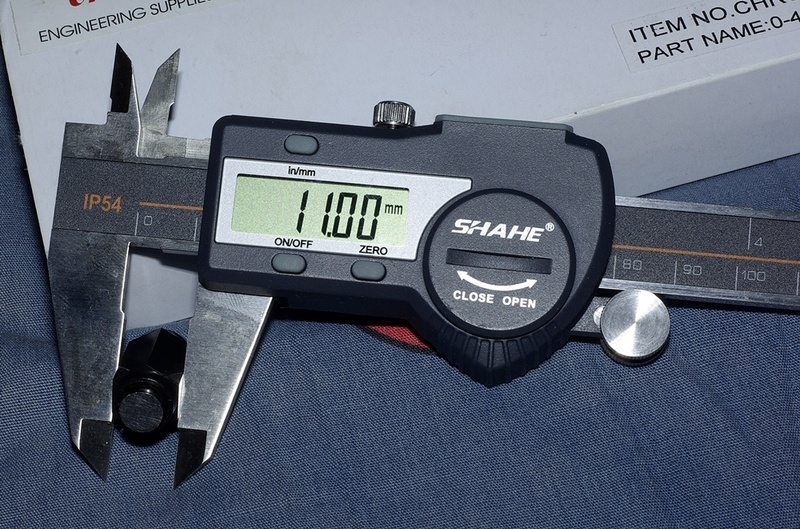 If you look at the pictures you may notice that some one has worked on the Ebay sourced calipers ..
A) Jaws were poorly aligned - I stoned them to bring them into alignment . There is more slop and the feel is a little rough . 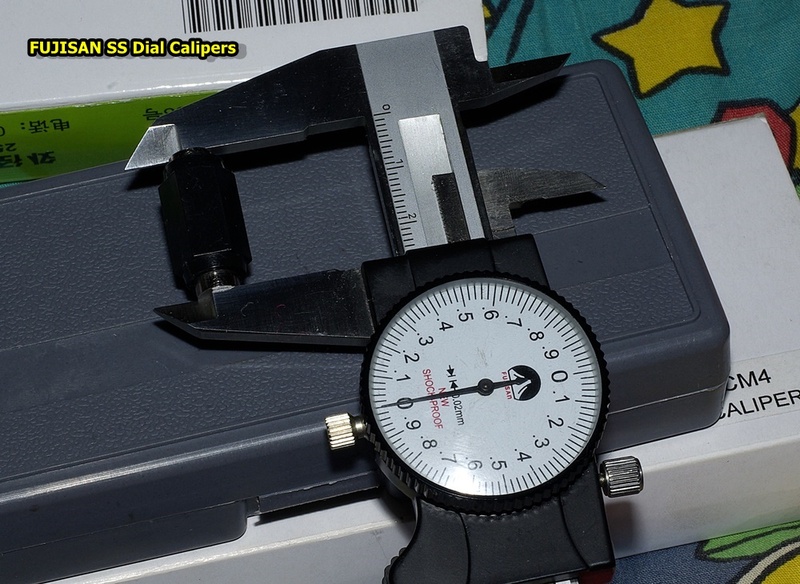 So far there have been no issues with the Fujisan calipers from fasttech and all I have done is adjust the two tension screws to remove as much slop from the jaws as possible . What I really appreciate is the lack of any binding or lose spots as you spread out the measuring jaws or bring them back together . The surface grinding is really nice as is the overall fit and finish . I really keep forgetting that they sell for $21 greenbacks as every time I pick them up they just feel more expensive . 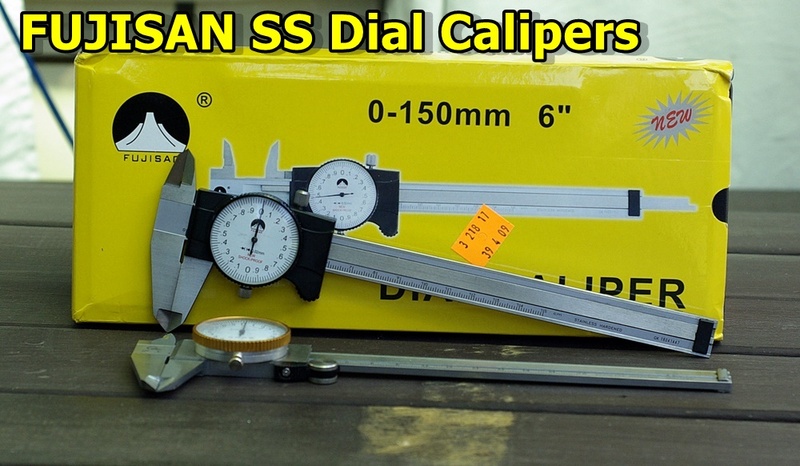 If your looking to play the lottery , buy the cheapest calipers off Ebay . If you have the skill you might be able to deal with any issues that show up . On the other hand if you are not a DIY repair guy ( yeah ! 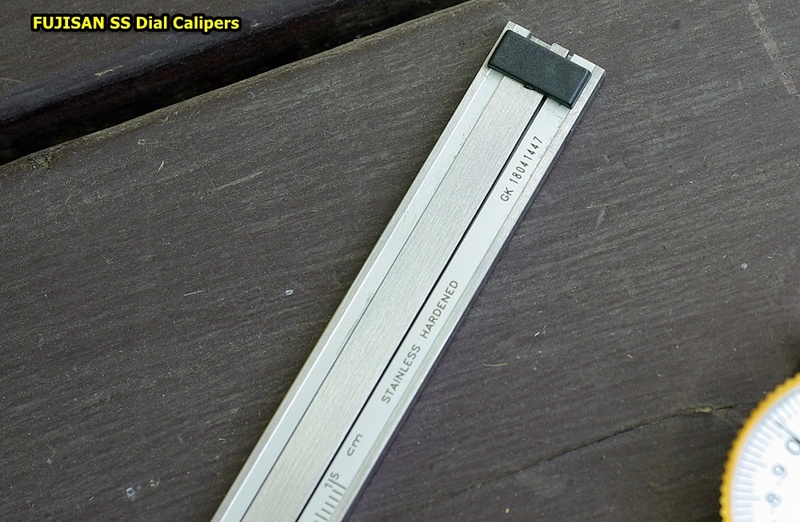 I kind of am ) you might want to take a look at the Fujisan calipers from fasttech . At $21 USD I think they are punching above their price class and taking the price into consideration , I would score the Fujisan a solid 9 out of 10 . Are they Mitutoyo good ? , no not really , come on ... $21 USD , but to be fair . @ $21 USD they are amazing value . 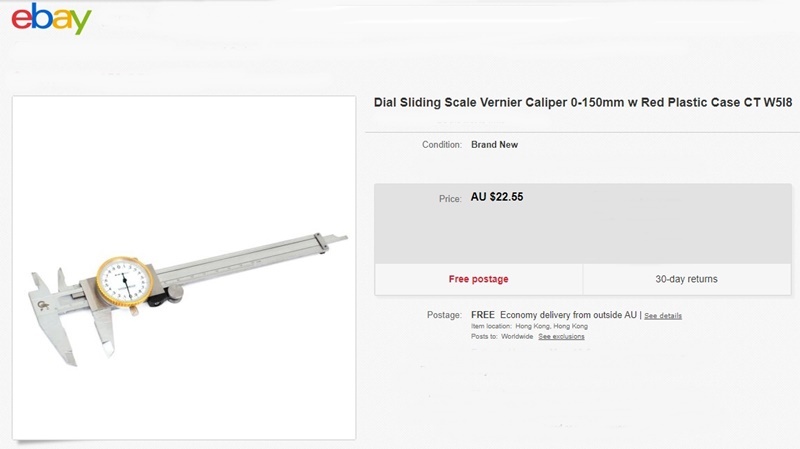 The jaws are really well ground , giving even measurements from top to bottom , which is surprising at this price point . 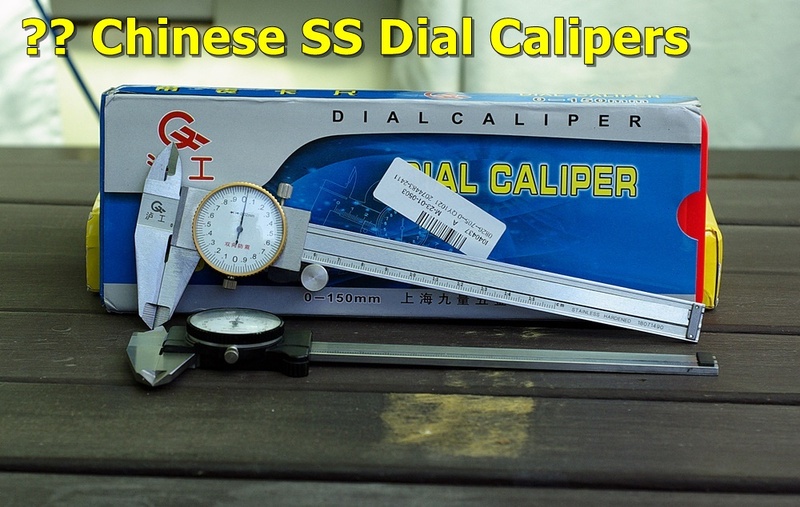 Bottom line , Fujisan calipers thumbs up and the Ebay calipers get the thumbs down .. ( Ebay calipers needed corrective measures / still do ) ..